Studies have shown that laughter can actually improve your health! Evidence shows that laughter establishes – or restores – a positive emotional climate and a sense of connection between people. While some researchers believe the major function of laughter is to bring people together, so join us as we take a look at the “lighter side of life” and laugh away many of our cares. Barbara Mauter is an adjunct instructor with over 20 years college experience. She has taught and presented various workshops for the University of Toledo, BGSU, Monroe County Community College and Owens State Community College. The lecture was part of Lourdes University, Lifelong Learning. 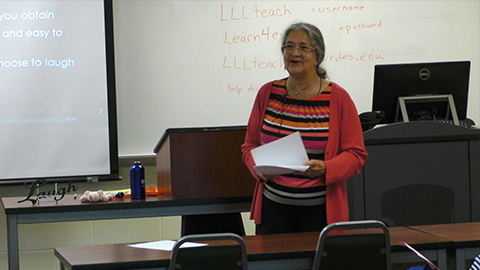 Lifelong Learning is an exciting educational program at Lourdes. Open to all interested men and women, the only requirement for participation is an interest in ongoing learning.